In 2018, the world is an increasingly stressful place. Whatever your position on the political spectrum the increasingly polarised state of the world can only create tension. In the UK, Brexit is a great uncertainty looming on the horizon. Meanwhile, the world of work is no more promising. The omnipresence of networking technology doesn’t just connect us to family and friends, it means we’re never beyond the reach of managers, colleagues and clients. Getting ahead at work means logging in on your commute to make an early start, and being on call during evenings and weekends for urgent emails. In a climate like this, you need to know how to relax. Finding the time to rest and restore yourself is a vital resource that lets you function at your best when the time comes to shine. One of the most important things is being able to create the right environment – when you really need to relax, you need to be surrounded by everything that makes that not just possible but easy. From music to decoration and even clothing, associating specific things with your time to relax make it easier to shut out the world. Investing in some cashmere loungewear means you have what amounts to a uniform for relaxation. Cashmere is a byword for luxury and softness, and spending the time to find exactly right loungewear that makes you feel comfortable means you have a shortcut to relaxed Sunday mornings. 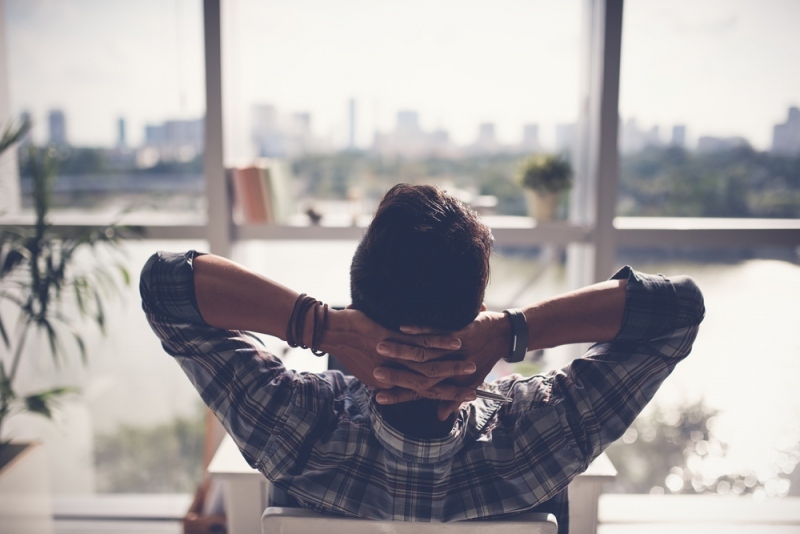 You need to value the time you spend relaxing as much you do the time spent working – even for a workaholic downtime is a necessary measure to recharge your batteries and let you bring your best to work. That means that if you have difficulty finding downtime, you need to schedule it, and treat it as just as sacrosanct as time devoted to a meeting or a report. If you find it difficult feeling ‘unproductive’, try to find an activity you value but is totally distinct from work so you don’t suffer the anxious itch of timewasting, but still get a break from work that allows you to relax and recharge. Activities like this will differ from person to person of course, so this calls for some self-reflection. What works for one person doesn’t for another so you need to find the right one for you, whether that’s baking, writing, gardening or volunteering. With the right environment and a proper respect for your time, you’ll find you’re able to relax, recharge and return to work fresh and ready to go.